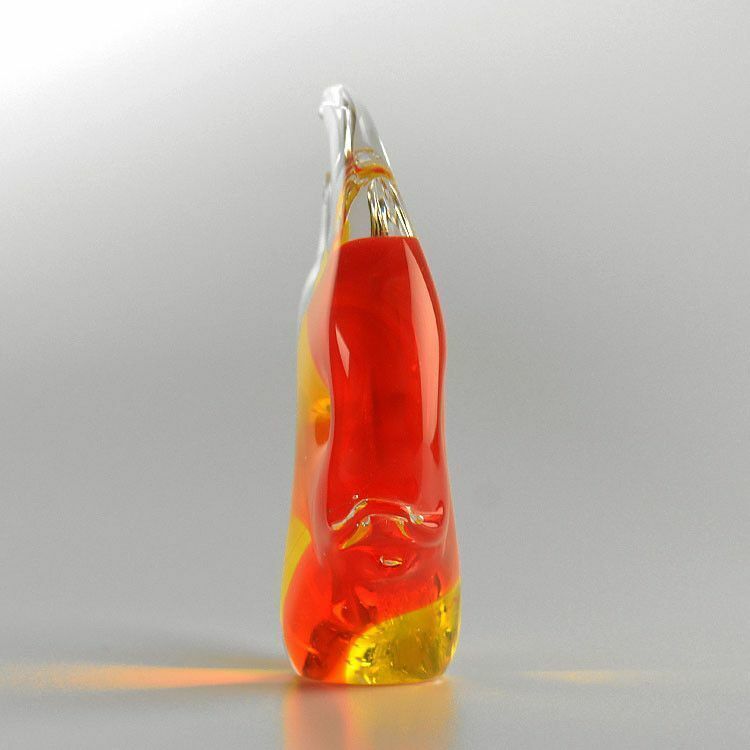 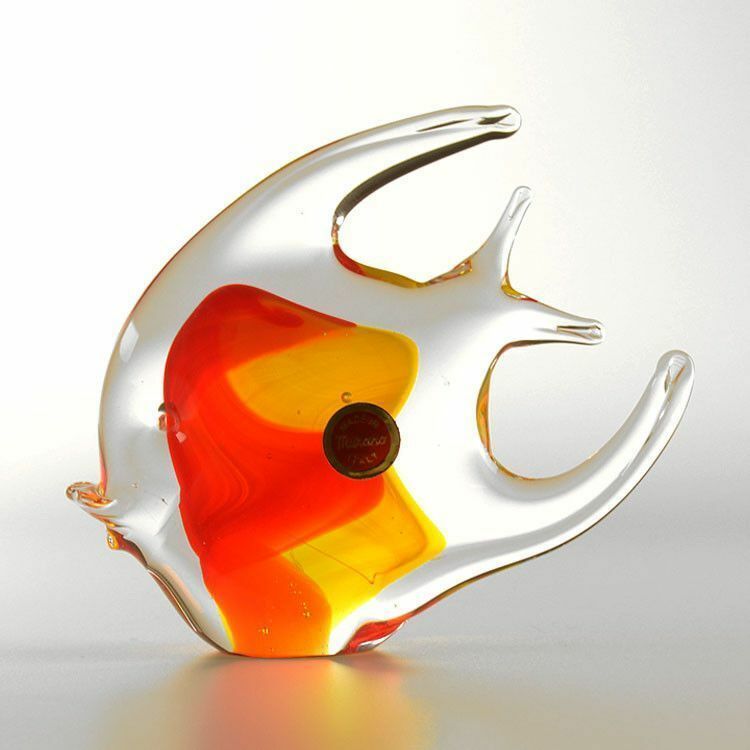 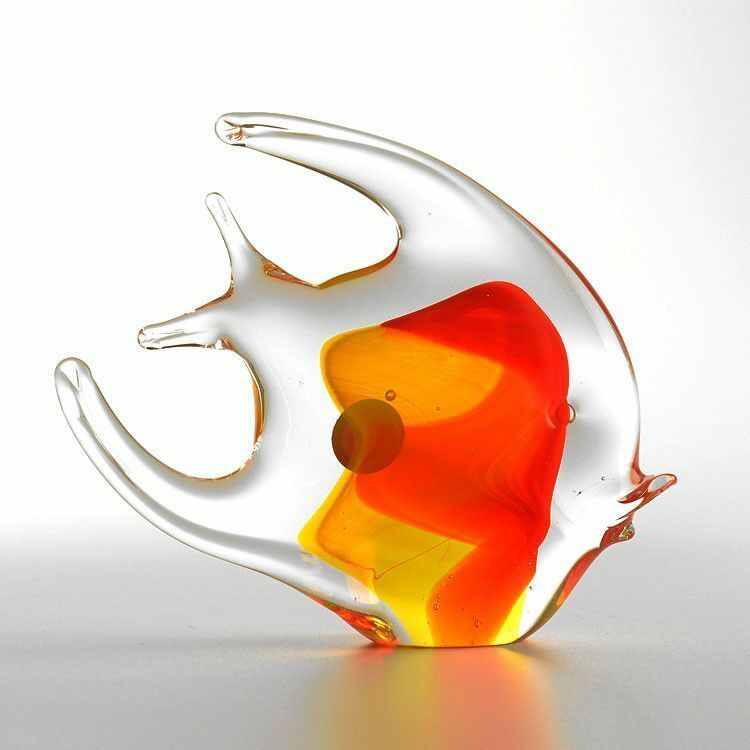 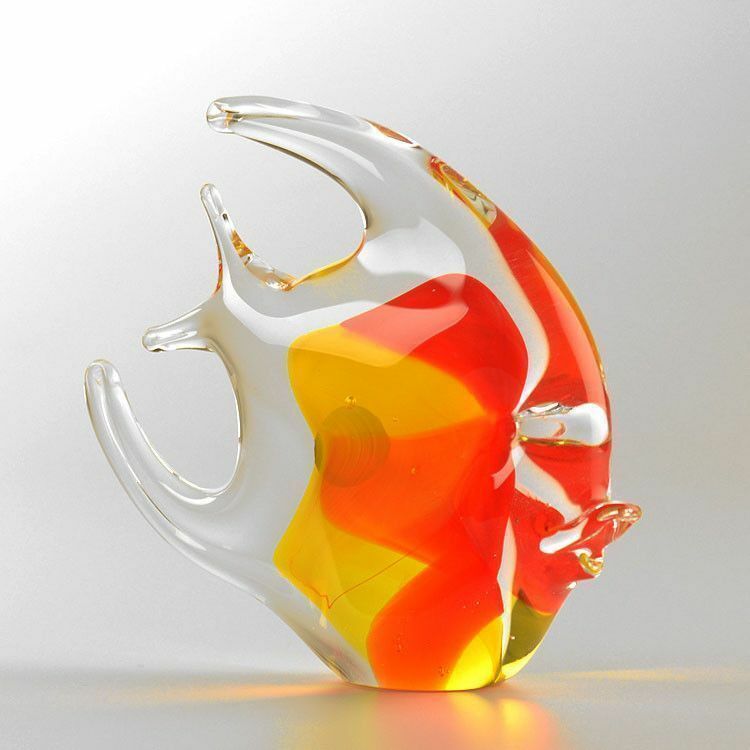 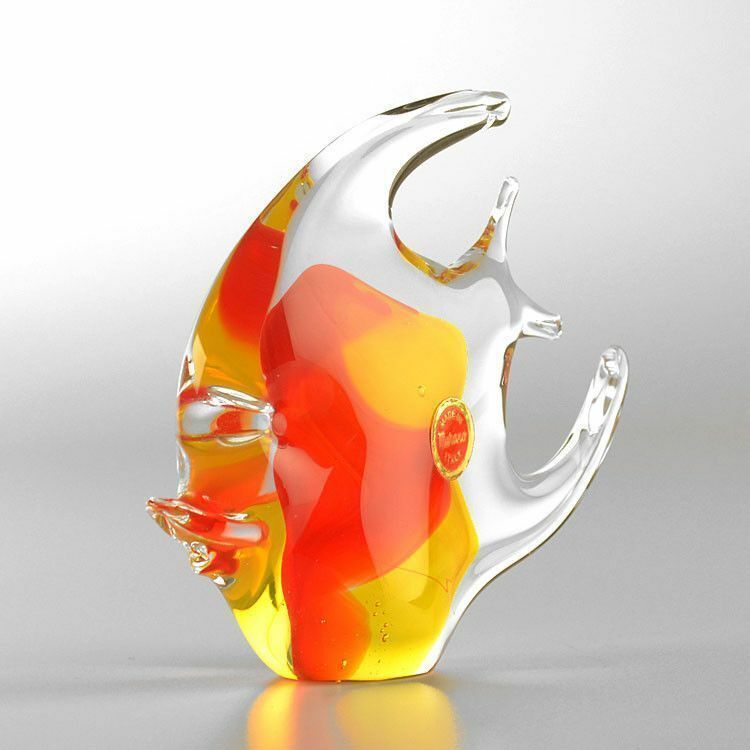 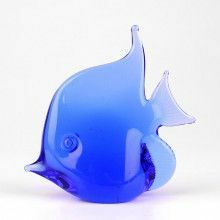 This 5" tall art glass fish was Hand-blown and features a unique shape and vibrant red and yellow colors that fill the fish when looking at it a certain way. 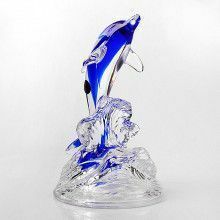 Looks pretty cool in an ocean themed bathroom, bedroom, or office. 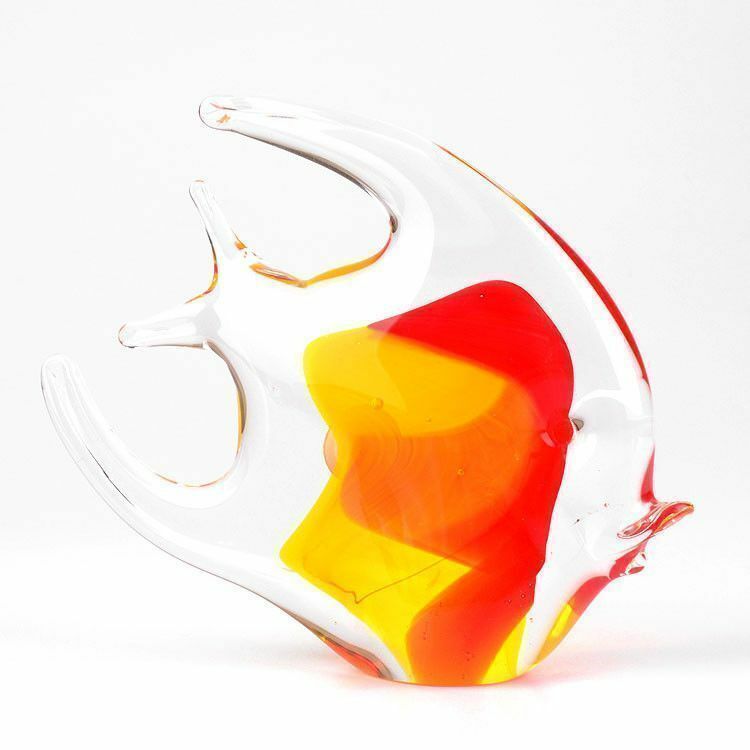 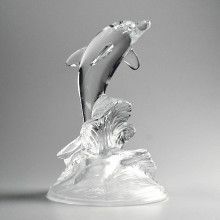 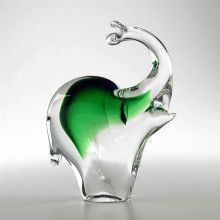 Absolutely a one-of-a-kind, Murano glass art piece that was made in Italy, where glassmakers have practiced their craft for centuries.